Tina & Peter envisioned a modern with a Indian twist celebration for their wedding held on the Long Island Sound in New York. 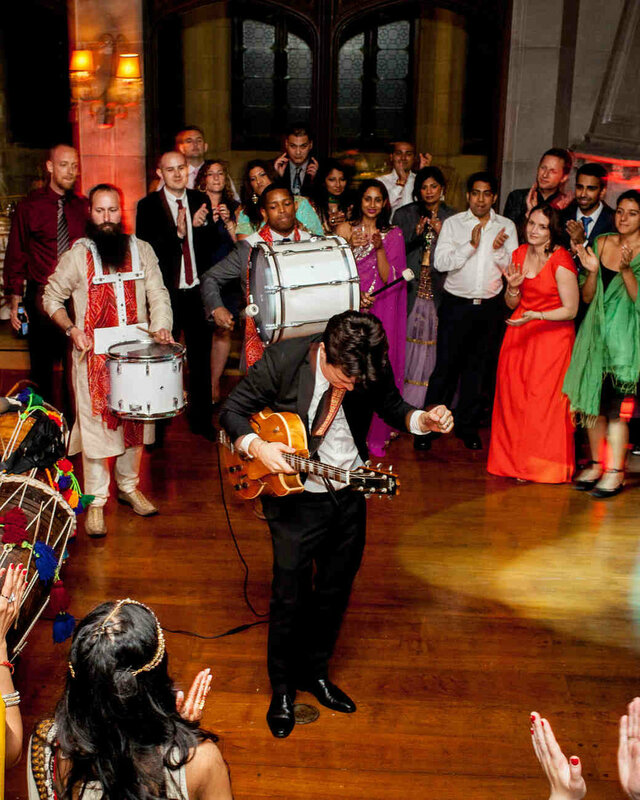 The multi-day affair kicked off with a colorful Sangeet hosted in an airy Manhattan loft. 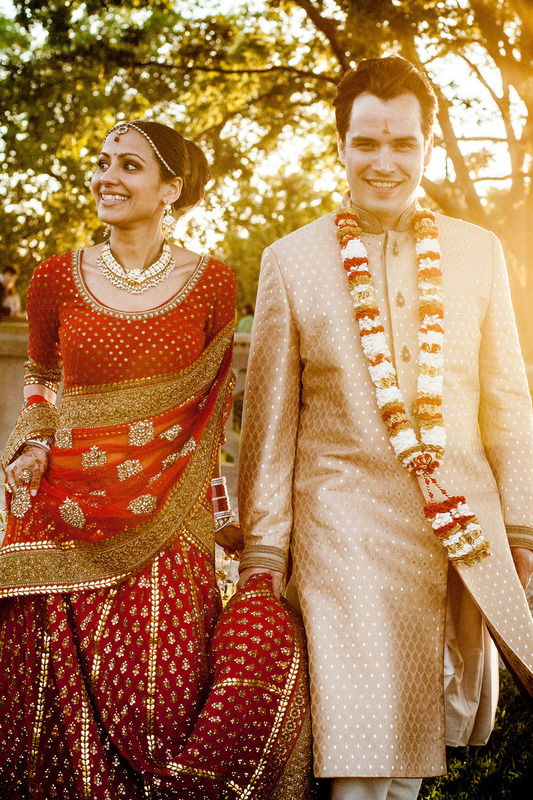 The wedding day was held at the Hempstead House at Sand Points Preserve with an outdoor Baraat and traditional Hindu ceremony followed by an elegant reception. 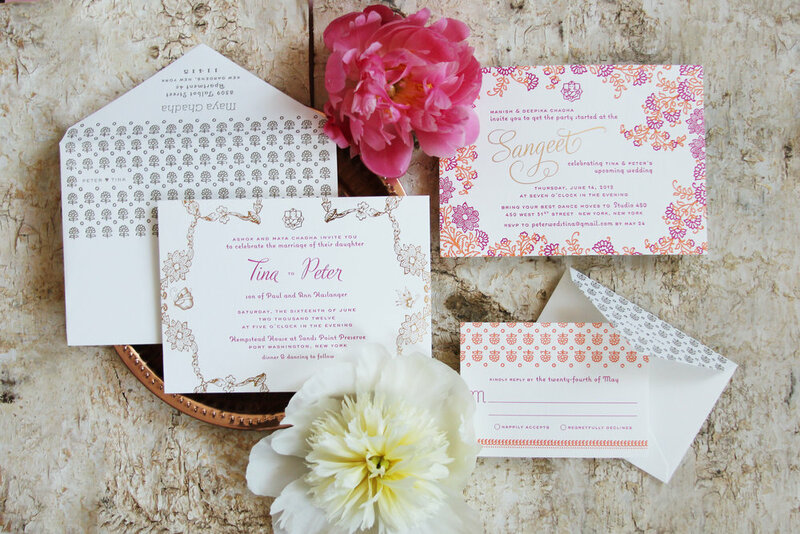 The invitation featured favorite motifs of the bride: butterflies and a floral pattern stolen from a favorite bedspread. The ceremony invitation and Sangeet invitation were both sized similarly and duplexed to be double thick. We let the Sangeet invitation be a little more colorful with a 2-color letterpress design plus a hit of gold foil. The ceremony invitation featured a one-color letterpress design also with gold foil. Antique gold ink on the reply and outer envelopes finished out the look. Other items designed for the weekend of included ceremony programs, cocktail drink signage, passed hors d'oeuvre signage and thank you cards. 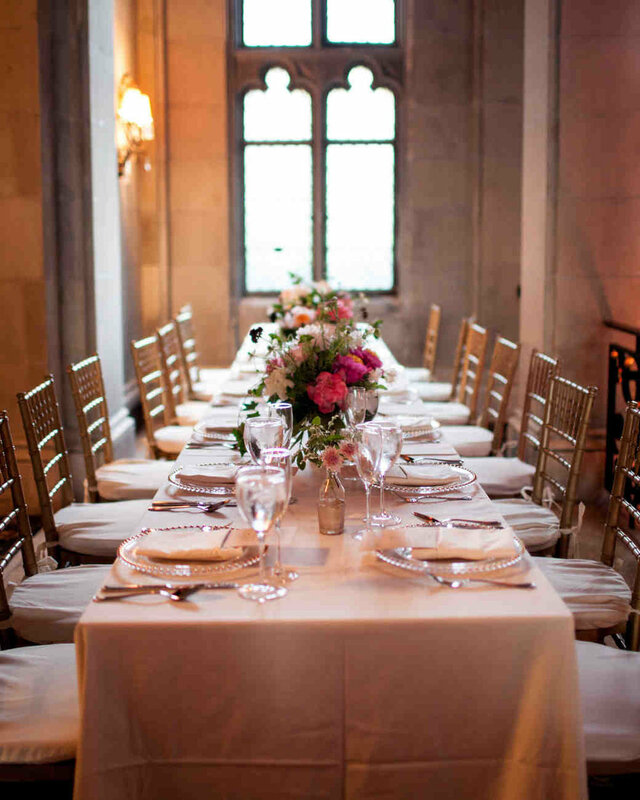 This wedding was featured in Martha Stewart Weddings: Real Weddings.